FREE Winnie the Pooh activities, videos, and COUPONS! In honor of today's release of Disney's Winnie the Pooh, here are some fun, FREE Pooh activities, including a $5 off coupon for the new movie!! Click HERE to print this coupon! Enjoy this adorable preview of the movie! Coupons: FREE small drink & curly fries from Arbys! Click here for a coupon for a FREE small drink & curly fries with purchase, from Arbys! Click here to print this coupon for $5 off two entrees at Longhorn Steakhouse (or $2.50 off one entree)! Coupons: .50 Redbox Rentals on Wednesdays! Every Wednesday through July 27 when you reserve a DVD, BluRay, or game ONLINE, Redbox will take 50¢ off the first night’s rental fee at checkout! 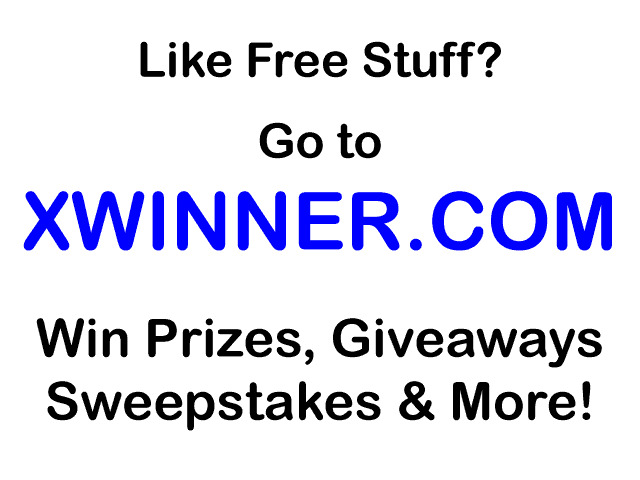 I also found this great article: 6 Ways to Get Free Redbox Codes! Coupons: FREE Blockbuster Express movie rentals! 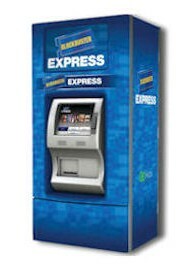 Here are 5 new Blockbuster Express Rental Codes for a FREE movie. Coupons: Michales coupons for THIS weekend! Click here to print these coupons at Michaels! Make sure you use them this weekend! Here are some new Chuck E Cheese Coupons! Coupons: Classic Roast Beef Sandwich for .64 at Arbys! Tomorrow (7/23), you can use this coupon to get a Classic Roast Beef Sandwich for .64 when you by a 22.-oz. drink! Print this buy one small yogurt at Pinkberry, get one free coupon! 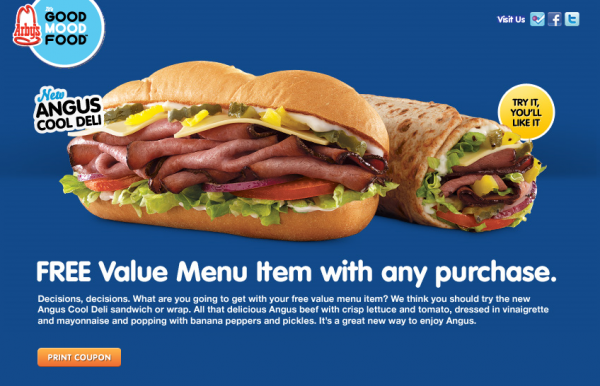 Click here to Sign up for all of these Quiznos coupons! Coupons: FREE Chips & Queso at Chili's! When you sign up for Chili’s emails, you can get a coupon for free chips and queso! FREE Blockbuster Movie Express Rental now through July 15th with the code: 25HLG6 You can also use this code to reserve your movie online! Coupons: FREE sub at Blimpie! Print this Buy One, Get One Free Quiznos Sub coupon, and this coupon for a free sub at Blimpie when you purchase another sub and a drink. Click here to receive a FREE Toddler Welcome Kit from Beech-Nut. I got this the last time it was around (they've reset it, so you can sign up again!) and it came with a FREE product coupon! 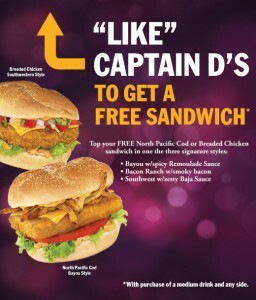 "Like" the Captain D’s Facebook Page and you’ll be able to print a coupon for a free sandwich with a purchase of a medium drink and side. Click here for a coupon for FREE Lactaid half & half!